Pinehurst Radiology is a team of board certified, subspecialty trained physicians and dedicated staff committed to providing the highest quality diagnostic imaging in the Pinehurst area of North Carolina. Our expert radiologists use the latest imaging tools and methods to diagnose a wide range of conditions and provide the best patient care. 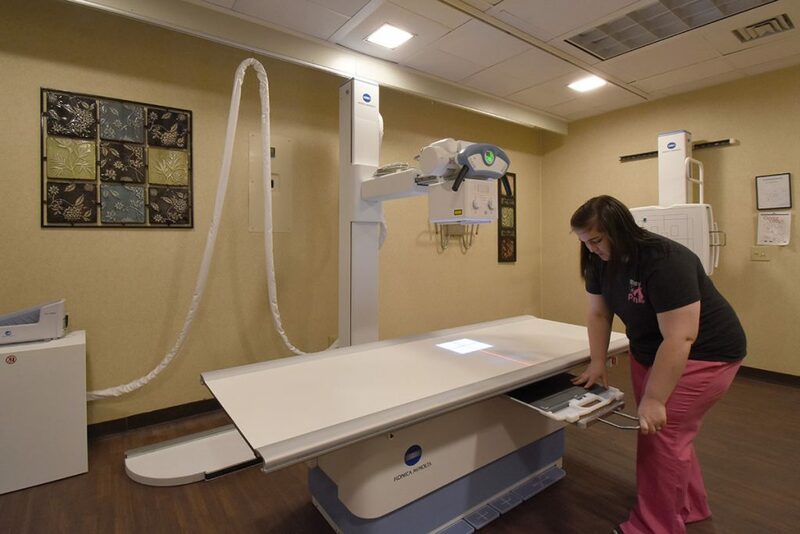 Mammograms use low-dose X-rays to examine breast tissue for abnormalities. They are often used both for screening and diagnostic reasons to detect lumps before they can be felt and to detect breast cancer early. With traditional 2D mammography, radiologists view the breast tissue in a flat image. If the tissue appears overlapped, it can difficult to see all of the individual structures. 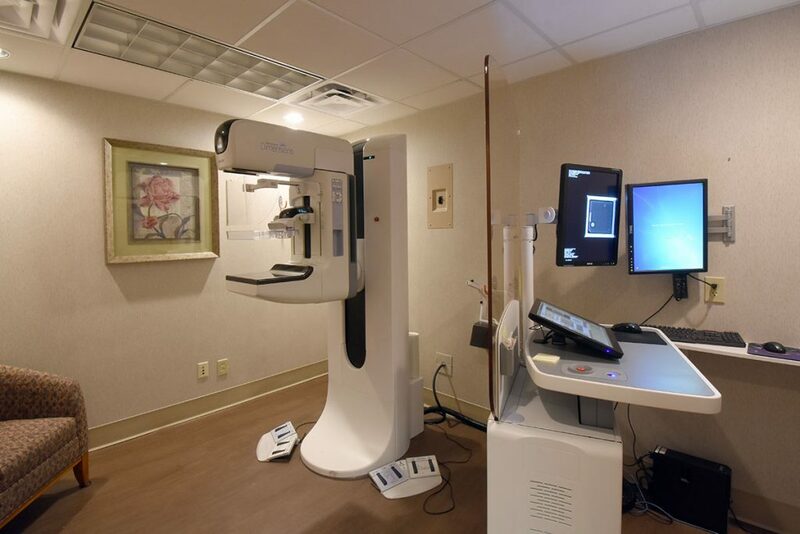 3D mammography, or tomosynthesis, is different from traditional mammography because it offers a clearer image of masses. It takes multiple images of breast tissue to create a 3D image making it easier to review the images and detect breast cancer. Because the radiologist can see breast tissue detail in ways that were never possible before, it improves their ability to screen for and detect potential breast cancers, enabling them to pinpoint the size, shape, and location of abnormalities. 3D mammography leads to fewer tests and less worry for those being tested. Ultrasound is a diagnostic test that uses high-frequency sound waves instead of radiation to create images of structures in your body including organs, blood vessels, and soft tissues. 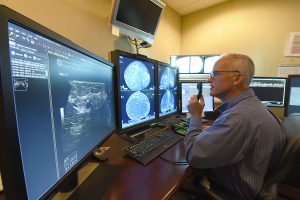 Because there is no radiation exposure, ultrasound is the preferred imaging method for monitoring the progress of a pregnancy, but it can also be used to identify and diagnose conditions impacting soft tissues and organs in the body. Because ultrasound images are captured in real-time, they can show the structure and movement of the body’s internal organs, as well as blood flowing through blood vessels. 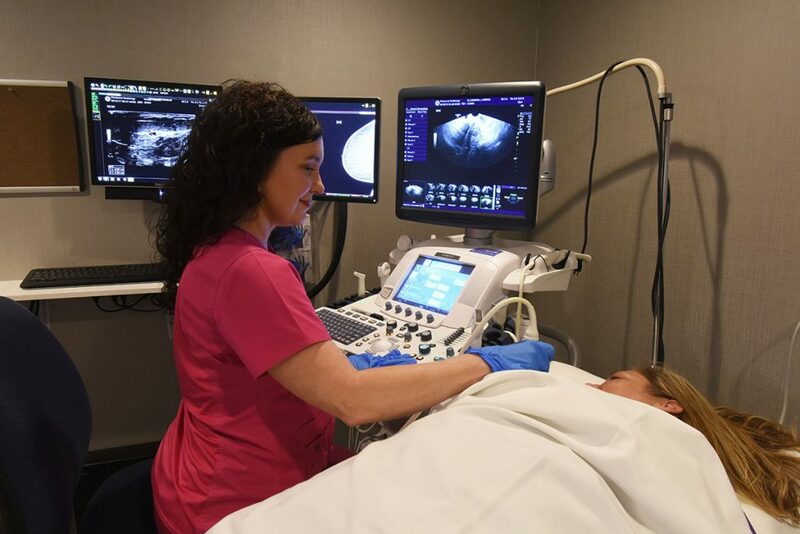 Ultrasound imaging is usually a painless medical test and can be used for a wide variety of studies, including breast, abdominal, pelvic, obstetric, arterial, venous and cardiac. Breast ultrasound is non-invasive and often used as a follow-up test after an abnormal finding on a mammogram or other breast exam. Ultrasound-Guided Breast Biopsy is used to evaluate masses or lumps within breast tissue visible on ultrasound. It is completed on an outpatient basis with minimal discomfort and recovery time. An ultrasound-guided breast biopsy may be recommended to determine if an abnormality is benign or cancerous. For this procedure, the skin is cleansed, sterilized and numbed with local anesthetic, and ultrasound imaging is used to guide instruments to the site of the lump or abnormal growth. Once located, a hollow needle is used to remove tiny amounts of tissue from the suspicious area for further analysis by a pathologist. Results usually take about three days and are sent to the referring physician. X-ray, or radiography, is a painless medical test that use small doses of radiation to produce pictures of internal tissues, bones, and organs to help diagnose and treat medical conditions. 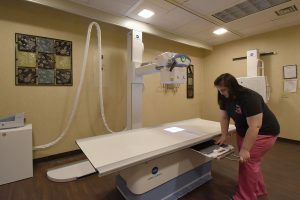 Pinehurst Radiology uses digital radiography (DR) to capture images digitally. X-rays are the oldest and most often used form of medical imaging. To learn more about our radiology services or radiology programs in Pinehurst, North Carolina, please contact us today. We are dedicated to bettering the health of our community and surrounding areas.